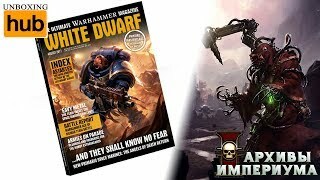 Is that salvation on the horizon for the Imperium? 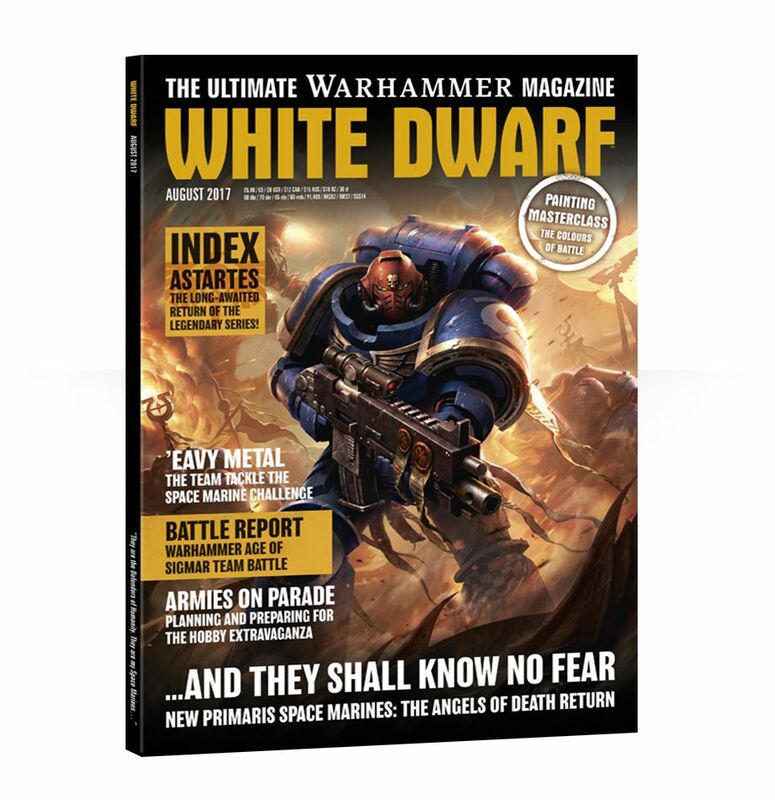 Why, yes â in the shape of a new issue of White Dwarf. 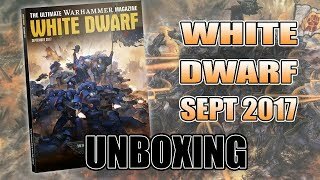 And not only that, but with it a raft of new Primaris Space Marines. 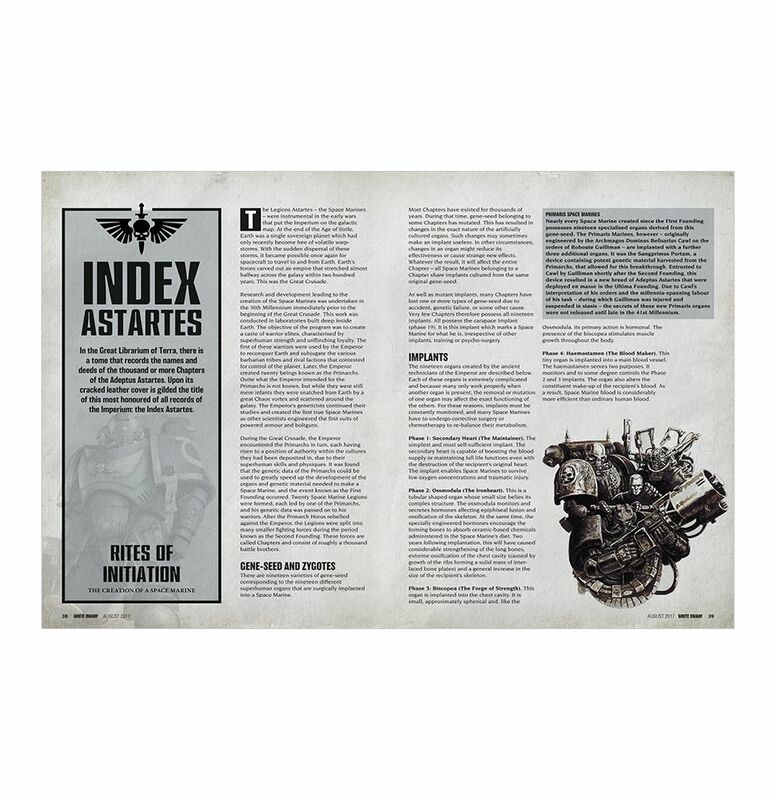 Weâve got your in-depth guide in Designersâ Notes, and â wait for it â the return of Index Astartes! 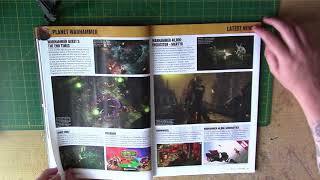 After that, six of âEavy Metalâs finest tackle the new Space Marines in our stunning âEavy Metal Space Marine Challenge. 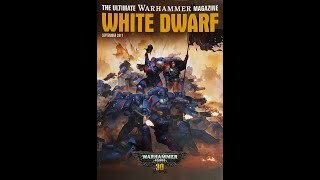 But itâs not all Space Marines. 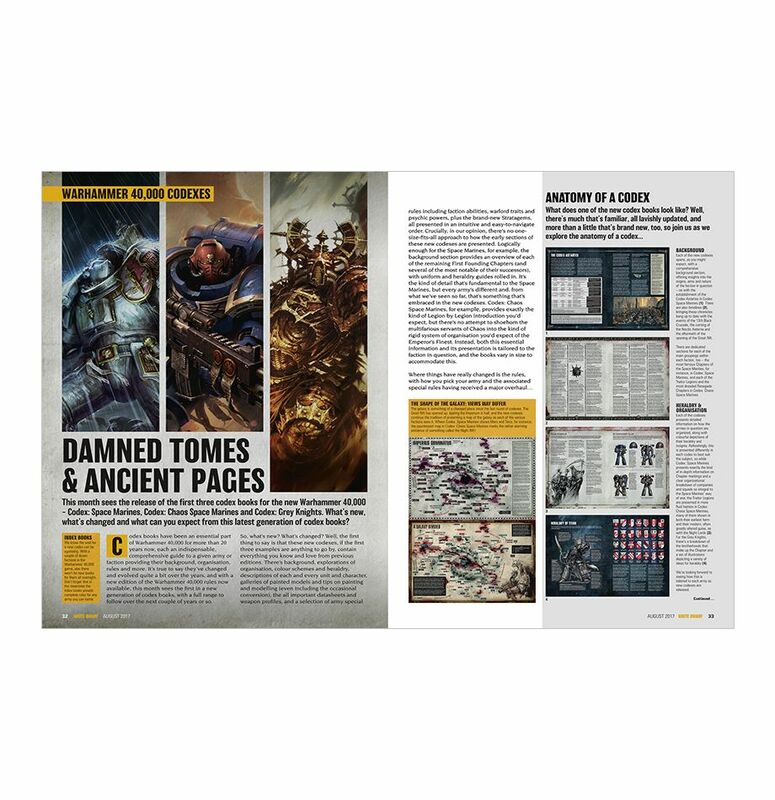 The first of a new generation of codexes arrive with us this month, and we take a look at whatâs in store in Damned Tomes & Ancient Pages. 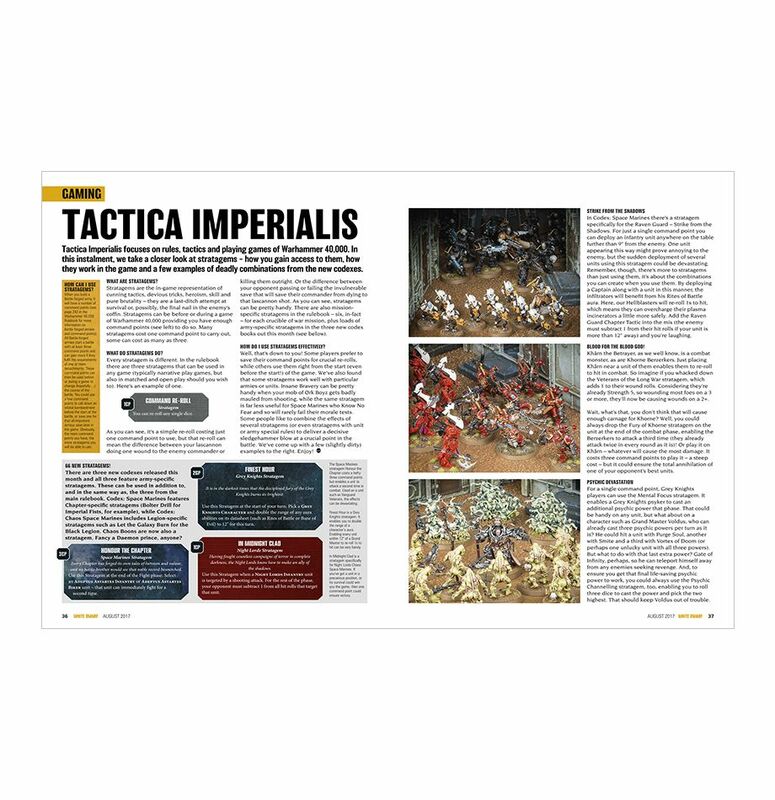 Elsewhere, Tactica Imperialis takes a look at stratagems, Pete Foley talks tournaments in the Generalâs Almanack before putting his money where his mouth is in this monthâs battle report, Illuminations enters the Mortal Realms and much, much more. 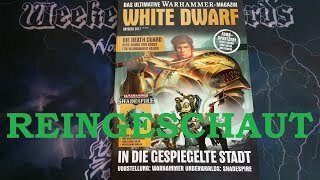 Submitted by Miniset on 30 July, 2017 - 00:48 (286592). 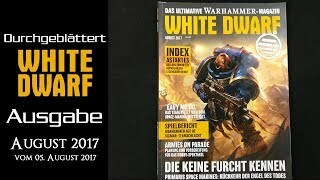 White Dwarf August 2017 - Primaris Marines, creeping vines and skulls!! 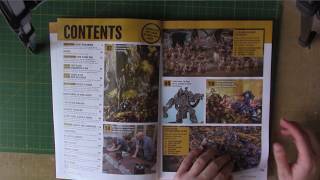 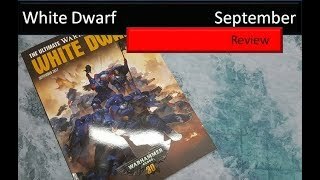 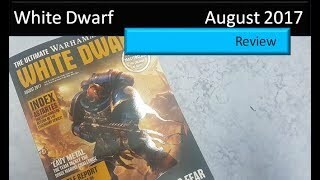 In this video I look through the August 2017 White Dwarf magaize which includes the return of Index Astartes, lots of new Primaris Marines and some teases of future releases including lots of skulls! 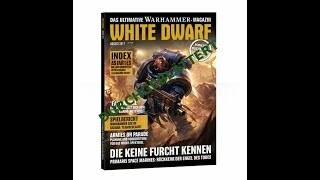 This is my g2a affiliate link. 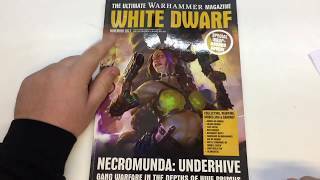 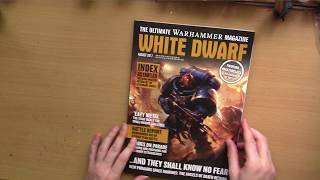 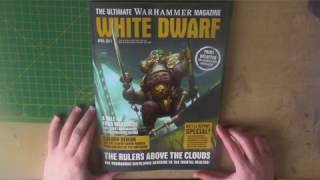 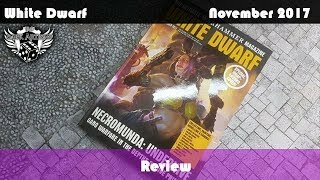 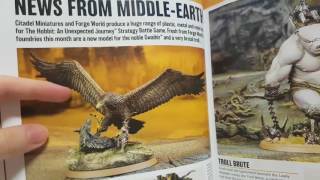 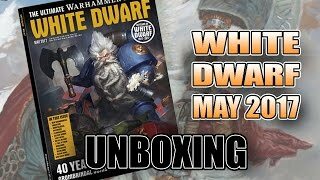 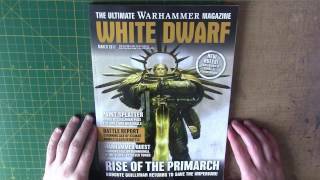 In this video I look through the new White Dwarf for March which includes the return of a Primarch, a new tale of four gamers and much more!